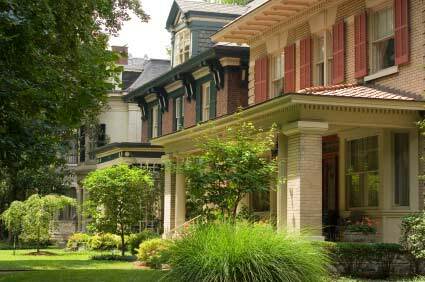 Okay, now that you have found the home of your dreams and are ready to move forward, how do you go about making an offer on a Louisville, KY home? Unless you have significant experience in real estate transactions, you should first ensure that you have consulted professional help prior to entering into any written contract to purchase a home. There are several ways to go about securing help and you must be very comfortable with this decision because it could significantly affect your financial well-being. One option is to obtain the services of an experienced Realtor®. It is my strong belief that this is your best overall choice because a Realtor® will be able to oversee and manage all facets of the transaction. You may feel that I am biased because I am a Realtor® and I would like you to use my services, but if you continue to read I think you will fully understand why this is my belief. Before we go any farther, I do want to emphasize that Realtors® are not lawyers (though some may be), and absolutely cannot give legal advice. If want a legal interpretation of any aspect of your real estate transaction, you must seek the advice of an attorney. You will see your real estate agent completing numerous legal documents, but it is not their job, nor are they qualified to make legal interpretations. More on this topic later. Back to the decision to acquire professional help prior to making an offer on a home. The best way to think of a real estate agent's role during the process of purchasing a home is as a general manager, coach, mentor, friend, and counselor. A Realtor® is bound by legal, ethical, and moral guidelines that tie into all facets of the process of buying a home. Not every professional you could choose to help you buy a home will be as fully qualified, or have such a big-picture overview of the process as a Realtor®. Best of all, unless you are in a situation where you are buying a home that has not been listed, you will not be responsible for compensating your real estate agent at all! There are a few minor exceptions to this, and you should address this issue with your Realtor®. Go here to read more. I think that is a fair summary of what a real estate agent can bring to a transaction, and I do believe Realtors® are in the best position from a professional standpoint to help you with the purchase of your new home. If you have previous experience with buying or selling a home and are confident you can fully manage the transaction and protect your interests, your other viable option is to secure the services of a real estate attorney. They can prepare a sales and purchase contract on your behalf, but will have limited input on the rest of the transaction. Please feel free to contact me with your questions, or do your own research through friends, family, and neighbors to determine what is best for your personal needs. A quick word about agency. You will have the option as a buyer of working with the seller's real estate agent, or a Buyer's Agent. There are strict legal and ethical guidelines all Realtors® must adhere to when representing clients, so in that sense you should be covered. It is important to fully understand these legal and ethical limits, especially if you are going to let the seller's agent represent your interests. The terms you may hear in this case are 'dual agency', or 'designated agency'. Those terms are your cue to perform further research. Simply put, the seller's agent will not be able to fully represent your best interests in the transaction. The seller's agent ultimately is bound to protect the seller, but in a 'dual agency' relationship may also represent the buyer. However, the seller's agent will not be able to provide you any information or guidance that may compromise the seller's negotiating position. This is why Buyer's Agency is critically important for you to understand and why I strongly recommend using the Joe Hayden Real Estate Team when buying a home. Once you have determined what professional assistance, if any, you are going to require, it is time to get together with your representative and begin to structure an offer to purchase. Find a comfortable location with a nice table and preferably internet access to write the offer. Your real estate agent should have all of the required forms and paperwork necessary to purchase a home. Your agent should also have all of the current information about the market affecting the home you are purchasing readily available. If not, this information can be quickly found on the internet. Make sure you fully evaluate the market and other factors affecting pricing before you go any further. When you are buying a home, there are many problems that the seller is obligated to disclose. For example, in Kentucky it is illegal to withhold information about major physical defects on the property, but these disclosures don't always paint the entire picture of the home. Here are six questions you may want to ask and get answers to that can offer additional insight about the prospective home. Your agent should have already discovered most of this information for you, but if not try to get the answers before you finalize an offer. Why is the seller selling the house? This question may help you evaluate the "real value" of the property. Is there something about the house the seller does not like? If so, you may be able to adjust the purchase offer accordingly. How much did the seller pay for the home? This question can, in some instances, help the buyer negotiate a better deal. However, it is important to remember that the purchase price is influenced by several factors, like the current market value and any improvements the seller may have made to the home. The original purchase price might not have anything to do with the current value of the house. What does the seller like most and least about the property? By asking the seller what he or she likes most and least about the property, you might get some interesting information. In a few cases, what a seller likes the most about a home might actually be something the buyer is looking to avoid. For example, if the seller describes his house as being in a "happening community," the buyer might consider this a negative factor because the area may be too noisy or busy for his or her taste. Has the seller had any problems with the home in the past? It is also a good idea to ask the seller if he or she has had any problems with the home while living there. For example, has the seller had problems with a leakage from the upstairs bathroom in the past? If so, even if the leak has been corrected, the floor and walls around the bathroom might have been damaged. You should also check that these items were repaired properly. Are there any nuisances or problem neighbors? Use this answer to find out about any noisy neighbors, barking dogs, heavy airplane traffic or even planned changes to the community, such as a planned street widening. This may give you insight on why the seller is really moving. Also remember to check out the area's crime rate. How are the public schools in the area? Because the value of a community is usually greatly influenced by the public schools in the area, finding out about the area's schools. The next step is to put the offer into writing. This is where you will see your Realtor® completing numerous legal documents. Remember the agent can only complete the forms, not give legal interpretations. Luckily, the Greater Louisville Association of Realtors®, in conjunction with the Kentucky Real Estate Commission, has provided all of the required forms in a preprinted, easy-to-understand format to your Realtor®. Remember to seek the appropriate counsel if any part of the sales and purchase contract is unclear. Carefully consider the exact details of your offer and ensure the written offer fully defines your expectations. If two people cannot read the offer and come to the exact same conclusion about the terms, then your offer is not sufficiently well written. Review the details several times before signing, and never leave any open or blank spaces on a contract. It is critical at this stage to be very precise as the entire rest of the transaction will be guided by the sales and purchase agreement. I cannot emphasize the importance of exacting detail or comprehensive review enough; Mistakes can be very costly. Now your real estate agent should present the offer to the seller. It will be up to the seller, through their agent, to decide how to best handle the offer. Their options are to reject, counteroffer, or accept the offer as written. Obviously, if they reject it outright you will have to carefully review your offer and decided if you wish to resubmit different terms, or move on. If they counter, you will need to determine if you can meet their amended terms and accept, or you can counter or reject their counteroffer yourself. This process continues until the offer is dead or you have an accepted contract. Once you have an accepted contract, it is on to the inspection / contingency stage, and the Realtors® on both sides of the transaction should be making all necessary plans and ensuring every task required by the contract is completed in a timely manner to successfully get the transaction to the closing table. Please go to this page on my website to follow the rest of the transaction. Again, contact me at any time regarding any questions you may have about this process. I am here to help and would love to share in the joy of you finding and purchasing your new home!